Arranging a funeral is something few of us want to do, but it remains a stage of our lives nonetheless. However, there are several steps you can take to help get through this process. 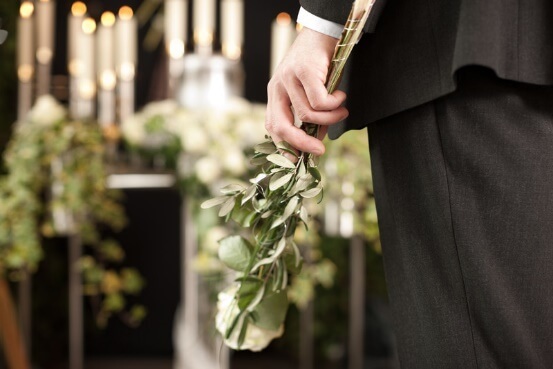 When arranging funeral services, you should consider the importance of pre-planning. Reading and signing the multitude of documents to follow is something better done when you have a clear head and are not under emotional duress. Pre-arranging services can also help ensure you are fulfilling your loved one's wishes. What type of funeral service would he like? Where would she like to be buried? As hard as it can be to broach these subjects now, they can be even more difficult to answer later. Sometimes, when emotions run high due to a recent death, family members can squabble over what is best. Deciding this beforehand with input from everyone can help prevent hurt feelings. When selecting the funeral services, it would be best if you brought along someone who can check over documents and discuss options with you. This way, you can help prevent strong emotions from leading you astray from level- headed actions. Remember to read all documents carefully before you sign them, and ask questions if you are unsure about anything. A trusted funeral director can help present all of the options you need to consider and forms you need to sign. Again, pre-planning a funeral arrangement can allow you enough time to involveeveryone and approach these delicate matters with a clear head. If you are not sure which funeral home you should consider, ask around. Trusted recommendations can help lead to a proper funeral arrangement during a difficult time.